The Pro is perfect for capturing live performances. You can use a lavalier to mic up your subject for podcasts or interviews. 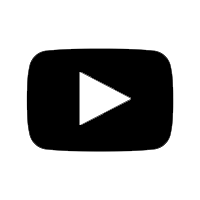 Record time-stamped WAV files to sync with video footage in post-production, or embed superior audio directly on your video in real-time through a ⅛" stereo feed. X/Y stereo recording covers a wide area while capturing sound sources in the center with clarity and definition. The angle of its two unidirectional condenser mics can easily be changed from 90 degrees for a tightly focused stereo image to 120 degrees for a wider image simply by twisting the mic capsules. 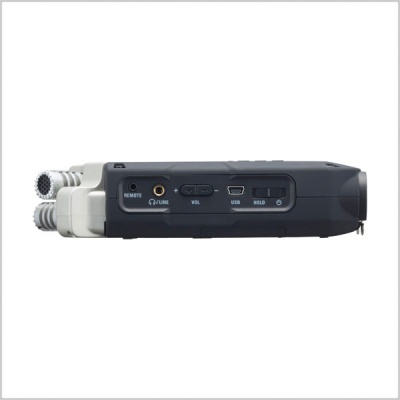 The H4n Pro provides an onboard MS decoder for Mid-Side recording with external microphones. This allows you to adjust the width of the stereo image, making it especially useful for sound design and broadcasting. STEREO MODE uses the built-in X/Y microphones (or external mics) and is convenient for recording live performances, acoustic instruments, dialogue, and more. 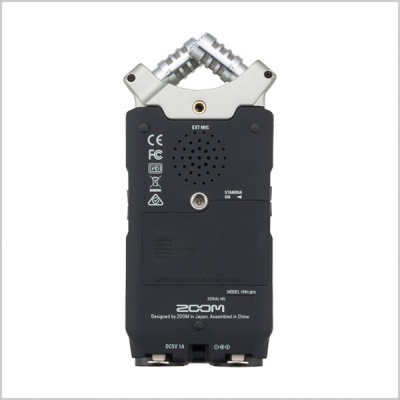 In 4CH MODE, you can record with the built-in X/Y mics and two external inputs simultaneously, great for getting live room sound and a stereo board feed at the same time. MTR MODE (Multi-track Mode) turns your device into a four-track studio, with built-in effects, overdub functions, and the ability to work with previously recorded sound files. Pre-Record (for STEREO/4CH mode) Pre-Record ensures that you'll never miss the start of a great take. 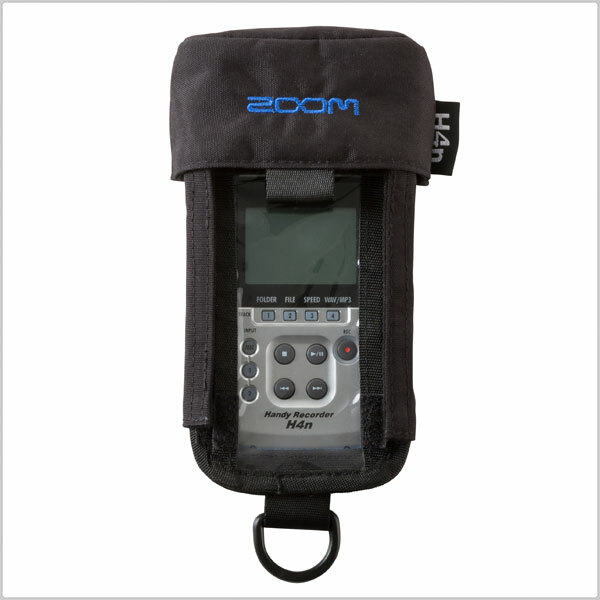 The device is continuously listening, keeping the previous two seconds* of audio whenever you hit RECORD. *One second when recording at 96k or working 4CH mode. 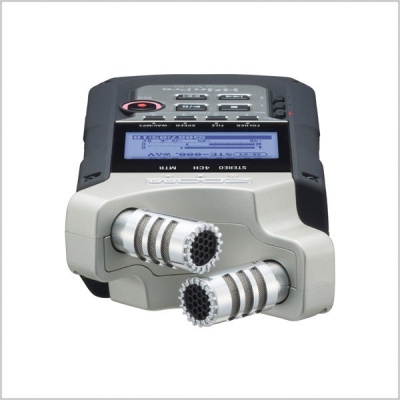 Auto-Record (for STEREO/4CH mode) Auto-Record automatically starts recording when a user-set sound level is detected. There's also an Auto-Record Stop function, which ends the recording as soon as the incoming signal drops below the user-set stop level. The Pro offers studio-grade effects and emulators to enhance your recordings. Choose from a variety of effects, including compression, limiting, reverb, delay, echo, a low-cut filter, and more. There's an onboard metronome and tuner, along with dozens of amp models and effects crafted for guitar and bass. Additionally, you can loop playback and adjust pitch and speed independently, making the H4n Pro a perfect tool for phrase training. 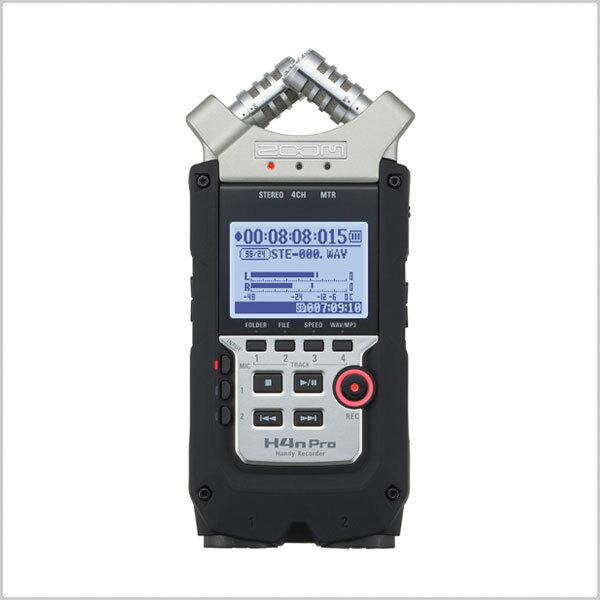 The H4n Pro runs on 2 AA batteries. up to 10 hours when operating in STAMINA mode. 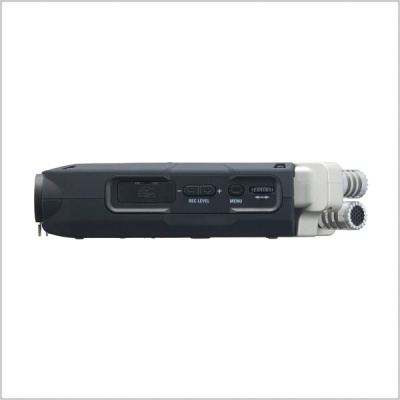 An optional AD-14 AC adapter allows the H4n Pro to be powered from any standard wall outlet. 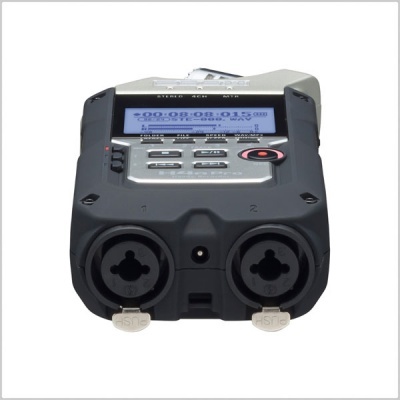 The H4n Pro accepts SD and SDHC cards up to 32 gigabytes.